On 22 May, national spokesperson for the All India Congress Committee, Priyanka Chaturvedi, shared her experience of online harassment at the hands of a bhakt troll on Twitter. 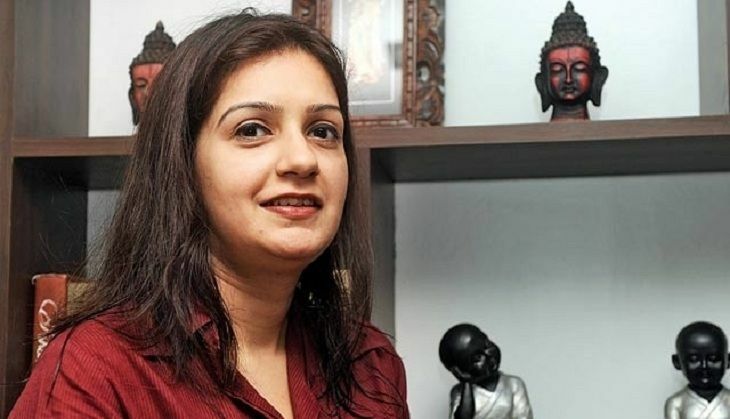 Suggesting that she be "raped and killed like Nirbhaya", and become "Rahul Gandhi's live-in partner", Twitter user @rajagra14129 spewed venom against Priyanka Chaturvedi on the microblogging site. After a complaint was lodged with the police against the miscreant, and his account reported, she took to writing about her experience. 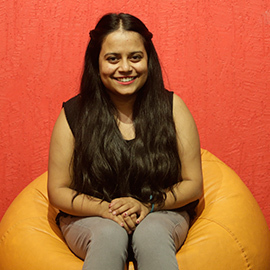 Her account was published on NDTV, where she went on to talk about how trolling and abuse have become a part and parcel of the social media discourse. This was however followed with a war of words that ensued between her and the HRD Minister, on the question of Smriti Irani's Z security status, and the threat that was unleashed on the Congress spokesperson. Priyanka Chaturvedi spoke to Catch about online harassment, bhakt trolls, and the BJP's refusal to take into account that misogynistic remarks unleashed on women on social media is a serious issue. Don't you think women in power, irrespective of their political allegiance, should unite against online harassment and misogyny? I would have expected this to be something that would rise above our political parties, and taken a stance on. But the BJP has been living in denial, and they have been refusing to acknowledge that the problem exists. If you want any change, it begins with an acknowledgement that yes, it is something that has to be taken up on a strong footing. You cannot be dismissive about something like this, like Mr Arun Jaitley was. When you start being dismissive about a pressing issue like this, you become a part of the ideology that is pushing this kind of misogyny. It then becomes difficult to work in tandem. I would give full credit to Shaina NC, who spoke beyond party lines, saying that an issue like this needs to be addressed. Union Minister Smriti Irani, someone in a position of power, instead of coming forward and saying we should work towards eliminating this problem, began defending her Z security status. The basic difference between abuse and threat has to be recognised. While 'Main tumhe marunga' is a direct threat, 'tum pit jaogi' is an instance of abuse. When Twitter user Shefali Vaidya tweeted to me, I was only trying to highlight the difference between a threat and an abuse. When there was a perceived life threat on Smriti, she was given a Z security status. I, on the other hand, am still struggling to get the investigation running. It is high time that the BJP acknowledges the problem and says yes, it is something we have unleashed, and we should bring it under control. We have the PM following some of these abusive twitter handles. Where do we begin from? How can we say we should have a common platform, when we have the PM following these abusive handles? The HRD Minister was hailed 'Aunty National' by a leading daily in recent times. Do you think it qualifies as a vilifying remark? Isn't she a victim of abuse as well? Across parties, women have been victims of abuse. I would not want to paint this issue in party colours at all. But we need to understand the difference between an abuse and a threat. Why does the BJP come forth defending abuse? When Maneka Gandhi suggested that trolling should be considered a form of violence against women, why did the BJP object so much? It isn't about Smriti getting abused, or me getting abused. It is about a woman getting abused. And only a woman can strengthen another woman. But if you are living in denial, it needs to be pointed out. In your piece on NDTV, you speak of right-wing trolls. Do you think trolls necessarily bear any party colours? No, trolls aren't necessarily right wing. But when you look at the majority of the voice on twitter, across party spectrum, you will see which side is more abusive, and which side is willing to come forth and say no, this kind of abuse will not be tolerated. Whether it is an Amaresh Misra, or anyone else for that matter, I have taken a stance. It is about an individual ideology. If they are willing to live in denial, they can continue to do that. But it is a monster that they are giving rise to. Their own spokespeople talk in a language that is very troll-like on TV channels... You only end up emboldening the people who follow your ideology. It's a dirty circle now. When a troll says something on social media, and the BJP spokespeople in turn repeat it on national television, these trolls think it is an acknowledgement of what they've said, and it further emboldens them. So they go on to say something worse. Mr Arun Jaitley said nothing can be done about the trolls. But there's a lot that can be done. From making stricter laws, to putting pressure on these social networking platforms and ensuring that these accounts are deactivated. More often than not, when women speak out about the abuse they face, they're written off as 'publicity stunts'. As a woman in a position of influence, how would you respond to such allegations? They can keep saying what they have to. That does not mean I will stop raising my voice where I need to. I will continue to raise my voice when faced with such abuses or threats. The intention behind re-tweeting the abusive remark was to let people know about it. People might scream it's for publicity, but today if I have continued raising my voice, it gives strength to those millions of women who wish to voice their grievances, be it against the Congress or the BJP. But more often than not, they hesitate to raise their voices because they fear getting trolled. After Rishi Kapoor's 'baap ka maal' tweet, Congress workers led protests against him, and pelted his house with stones. Isn't the Congress also responsible for reacting violently to an expression of opinion? The Congress' stance has been very clear. He has his freedom of expression, he can speak his mind. We may have a disagreement on that point of view, but the language used was uncalled for. I do not know which local unit went ahead and did what they did. But it did not come from the national team, or the party head saying, 'Hey, go protest against them'. We do not believe in the idea of thwarting someone's voice, or being vindictive because he has raised a point of view. We may disagree with his point of view, and the language he has used (as far as this is concerned), but we cannot take away his right to speak up. What has to be understood is that there lies a huge difference between a difference of opinion debate, and the debate surrounding threat and abuse.